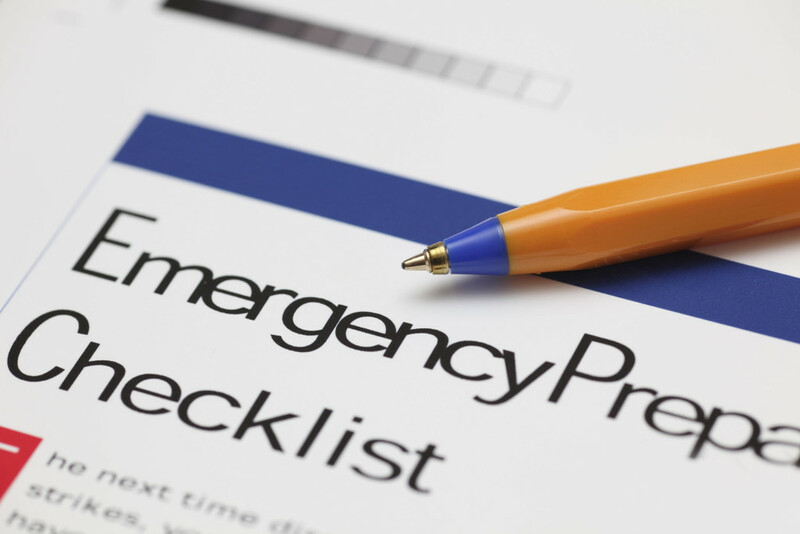 Workplace Emergency Response Planning: Is Your Business Ready? Workplace emergency response planning might as well be included as a fundamental component of planning for a successful business. In this day and age, disasters happen and the frequency of disasters occurring seems to be breaking record highs. The impossible is simply becoming possible at least in terms of disaster, hazards and crises. A proper workplace emergency response planning system in place can help your business avoid potential loss of life and loss of profit as well. By not having a workplace emergency response planning system in place, your business is simply not ready for emergencies and will likely have major negative impacts and result when there is actually an emergency. Is this a risk worth taking? Besides the fact that all businesses should include workplace emergency response planning for the simple need to being prepared to handle an emergency situation, it is often a requirement. In the United States of America, there is a legal requirement concerning workplace emergency response planning. See OSHA 1910.38 for the legal requirements concerning workplace emergency response planning in regards to a business having an emergency action plan for employees and the workplace. One important note to highly take into consideration when conducting workplace emergency response planning is on the topic about who in the workplace should know about the plan. The answer is simple. Anyone in the workplace should know about the plan – period. If only a few people are briefed on the plan, then people who are not briefed will not be prepared and thus, your business will not be fully prepared for an emergency. Hazard Identification – Potential hazards in the area should be listed here. Employers may be required to research the local environment to determine what natural, man-made and technological risks are currently present in the local area. Employers should also conduct a vulnerability and threat assessment of the business and its components to determine any hazards or threats of the business itself. Response & Training – Hazard and potential crisis instructions on response, response locations and training should be listed here. It is important that employers explain to employees what their roles will be during an emergency otherwise workers may freelance roles and only cause further cascading incidents because of poor planning results and consequences. Fire Protection – It is safe to say that a fire is one of the largest threats to a workplace in terms of a disaster. Fire protection, prevention, mitigation and response procedures should be put into place and mentioned throughout the workplace emergency response planning process. First Aid & Alarms – If your facility or workplace has a first aid kit or first aid office as well as alarms for one or various types of emergencies, it is important that workers understand procedures concerning these items. Procedures – There are numerous procedures that should be listed in a basic emergency plan. Procedures for the utilization of proper Personal Protection Equipment or PPE is an example. Other procedures might be needed for explaining the designation and activation of specific employees who will act as emergency response personnel during a crisis. Finally, ensure that evacuation and isolation procedures and instructions are also listed in the basic plan. Planning for a disaster is important but even the most well-thought of plan will result in significant failure if the plan has not been practiced by all who will be affected by an emergency at the workplace. It is important that employers train their staff in simulation-based and tabletop exercise programs concerning workplace emergency response planning. In some cases, a full-scale exercise could assist in making the business even more ready for a disaster – feel free to invite local public safety to take part in the exercise as well seeing as they will likely respond to many different types of disasters that could happen involving the business. If training is not concluded in workplace emergency response planning, no one will simply understand how to put the procedures of the plan into live action. Activating Emergency Protocols – The designated emergency response personnel should be trained and responsible for activating emergency response protocols. This might include showing up to an emergency situation and assessing the incident’s details and nature, activating public safety by calling 911 or other department within and/or outside of the business for emergency response conditions, sounding the alarms, initiating evacuations or interior isolation and staying in touch with management and member of public safety before, during and after a major crisis. Emergency Response Protocols – In some cases, designated emergency personnel might be responsible for the actual response efforts that should take place. This could be basic firefighting and emergency medical services if the situation is safe enough for personnel to do so. Other response duties might be closing fire doors, turning off machines, stopping gas and electrical flows to specific areas of the business and managing the incident. Emergency Termination Protocols – At the end of an emergency, when it is time to terminate the emergency environment, designated emergency response personnel should be in charge of this specific activity. The personnel should conduct a full headcount of all employees, contractors, visitors and other guests on the premises of the business. The ‘all clear’ should be given by emergency response personnel when it is safe to do so. Management in particular should be in charge of contacting outside agencies, the government and/or the media concerning emergency incidents and response efforts that take place at the business. In conclusion of having a proper workplace emergency response planning system in place, it is important that all employees understand the emergency response procedures. Current employees should be trained right away while new employees should be trained before they start their actual jobs in the workplace. The emergency response plan should be made available to all employees and visitors of the company. The plan should be frequently reviewed, updated and any changes should be announced to the employees and guests of the business. If you do these simple tasks for your business concerning workplace emergency response planning, your business will be better off today than it was yesterday and you will be that much more ready for a disaster before it actually strikes. Thank you for taking the time to read this article. Please support me for creating this article by sharing it with others. Please comment below without feedback and any further tips and suggestions you have concerning workplace emergency response planning. This article was written by Shawn J. Gossman, a professional in the field of emergency management and organizational continuity.